Cleaning improves the appearance and increases the life of your carpet. For good carpet health, we recommend cleaning every three to five years and in high traffic areas such as entrance ways and where pets are a concern, every two to three years. Our In-Plant Oriental Rug cleaning process varies depending on your carpet…. is it a durable rug or hand woven silk? 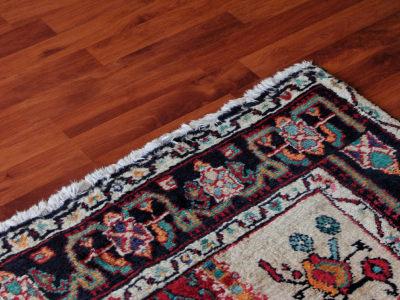 Every rug is vertically hung and beaten to loosen dirt particles. We shake out unwanted dust, then we hand wash your rug section by section using a PH balanced cleaning solution and rinse it with ionized water, next we extract your carpet and re-hang it to dry. Hanging the rug enables your rug to dry evenly and it also lets us rinse your fringes. We offer pick-up & delivery service at no extra charge. We offer custom cut padding. Call Spotless for price quotes.